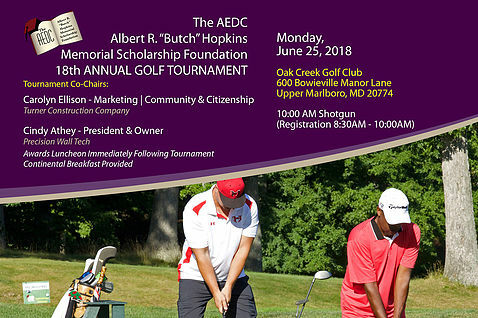 The Anacostia Economic Development Corporation (AEDC) invites you to attend the Albert R. "Butch" Hopkins Memorial Scholarship Foundation's 18th Annual Golf Tournament on June 25th. 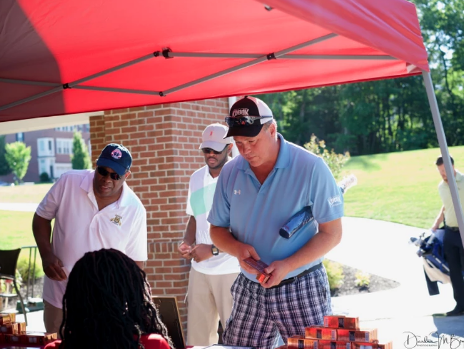 Proceeds from the tournament are used to provide college tuition scholarships to deserving seniors of Ballou S.T.A.Y. and the Academies at Anacostia Senior High Schools. The financial struggles of students and their parents to continue higher education have become increasingly difficult. We need you to continue to support this worthwhile cause and foster the education of our youth! The Anacostia Economic Development Corporation (AEDC) is a Community Development Corporation that was established to meet the overall economic needs, and to improve the quality-of-life circumstances of the District of Columbia residents, specifically those residing in the Anacostia/Far Southeast community. Over the years AEDC and its subsidiaries have been at the forefront of housing development, commercial revitalization (including small/minority business development), job creation and venture development to serve residents who live East of the Anacostia River and the District of Columbia at-large. 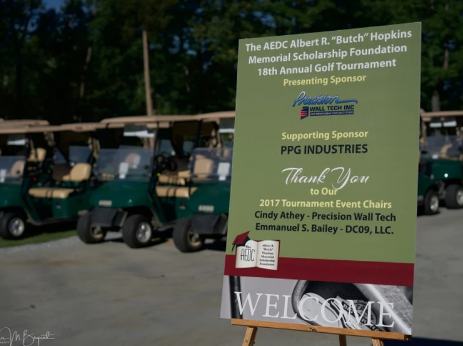 AEDC through the Business Development Center (AEDC-BDC) continues to devote significant resources to facilitate opportunities for small businesses to start, expand and grow. Along with these opportunities AEDC helps create safe communities for residents to live, work, and patronize.